You might be able to see this marvelous installation before it comes down this weekend. In the sunlight, the envelopes catch the light and seem to float in the air. The artist is Spencer Merolla and the location is The Glass House, a small outpost of the Invisible Dog Gallery, on Bergen Street near the F Train stop. Click here for more Brooklynpix. 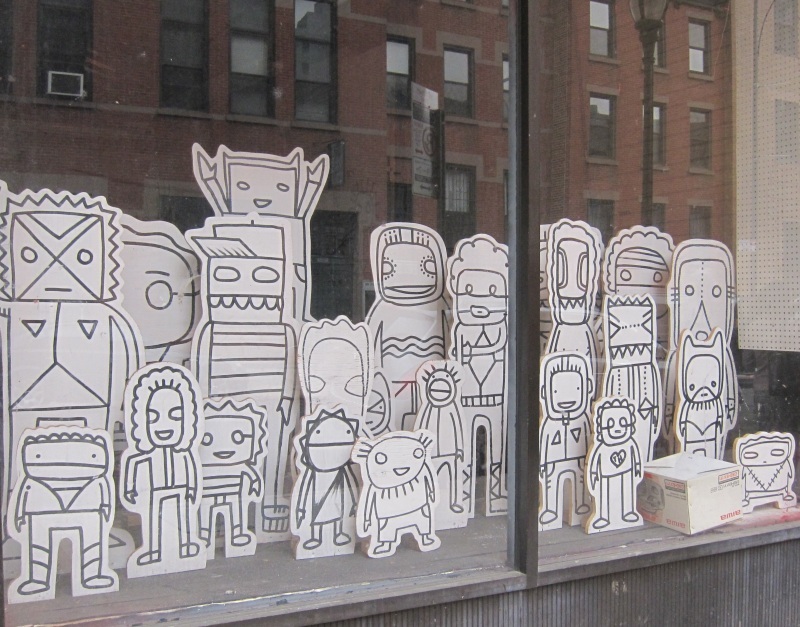 Some construction was planned on Willoughby Street near Metrotech about three years ago, but before work began, 15 artists put installations in abandoned storefronts. The demolition hasn’t happened yet, but the windows have remained. It has definitely beautified this neighborhood in transition.